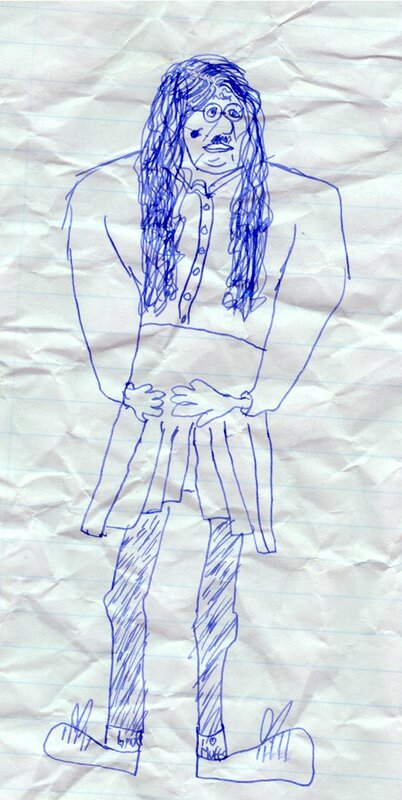 Throwing back to this flattering portrait a year 8 student drew of me during my second PGCE placement. Note the enormous mole, the Hitler moustache, the nobbly knees, the "I heart muffs" socks and the American football shoulders. I was pleased though, because he didn't draw me fat! Still remember having to tell him off with a straight face and then laughing until I cried once he'd gone.